In 1923, A.E. Hanson created a Hawaiian-inspired retreat for Harry Calendar in the Bel Air subdivision of Los Angeles. 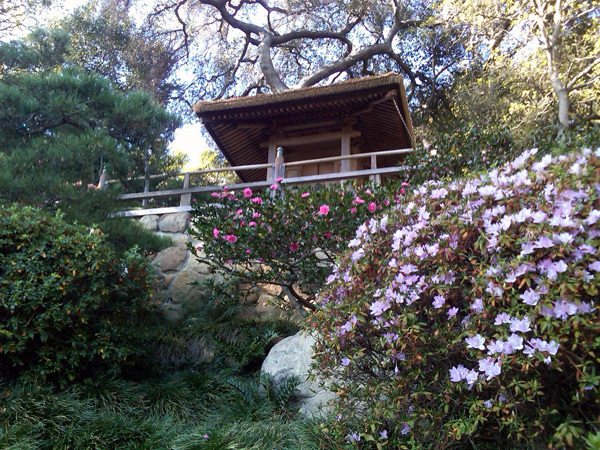 Gordon Guiberson purchased the property in 1959 and commissioned Nagao Sakurai and Kazuo Nakamura to create a Japanese-style garden on the steep 1.5-acre hillside below the residence. 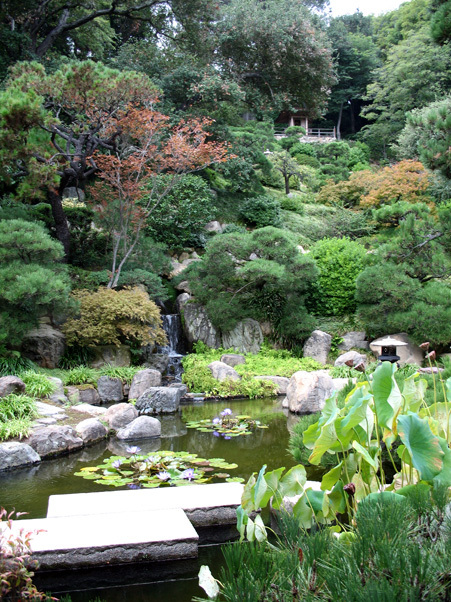 The new plan kept intact elements from Hanson’s design, including a Hawaiian garden, a 20-foot waterfall, and a stone bathhouse. 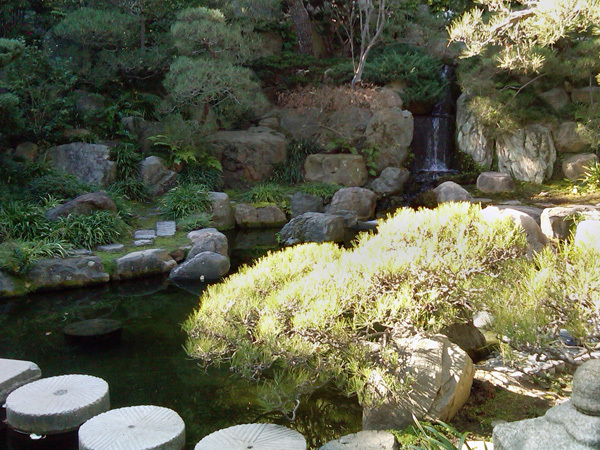 From the entry at the base of the hill, stone paths lead up to a central koi pond edged by a black pebble beach. Circular stepping stones and stone bridges provide passage across the water, with a stone pagoda positioned at the bottom edge of the pond and a Japanese teahouse overlooking the water from its western side. 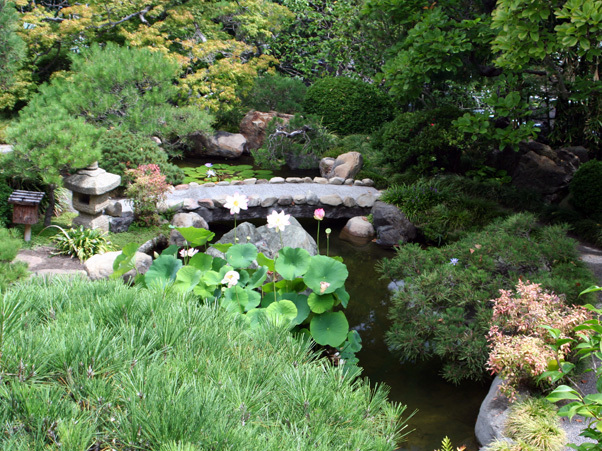 Dense plantings, many with Japanese origins, surround the pond, including pines, bamboo, magnolia, and camellia trees. 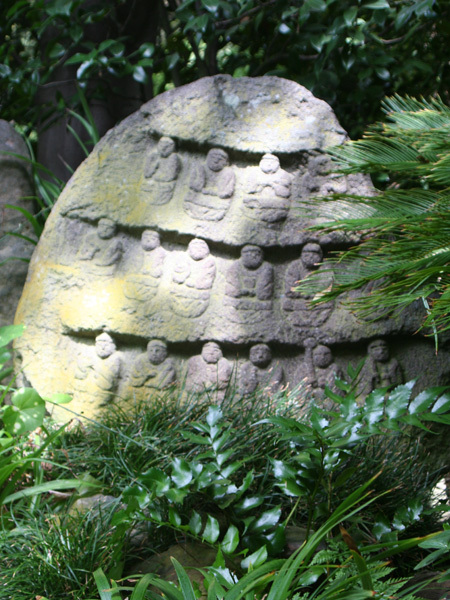 At the garden’s highest point sits the hokura (family shrine), which contains a hand-carved gilt Buddha. 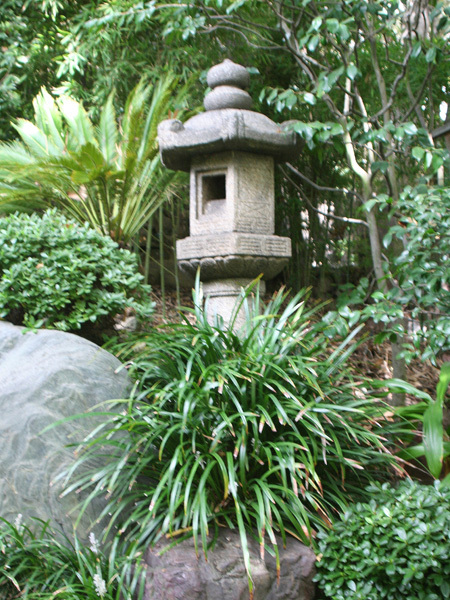 The entry gate, hokura, and tea house were imported from Japan, along with stone lanterns, water basins, and carved and natural stones with symbolic significance that line the paths. 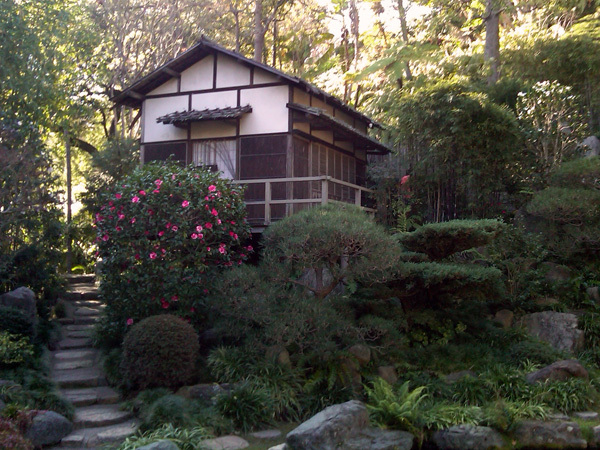 Extensive flooding in 1969 resulted in a mudslide which damaged the historic garden. University of California Los Angeles Campus Architect and Professor Koichi Kawana oversaw its reconstruction. 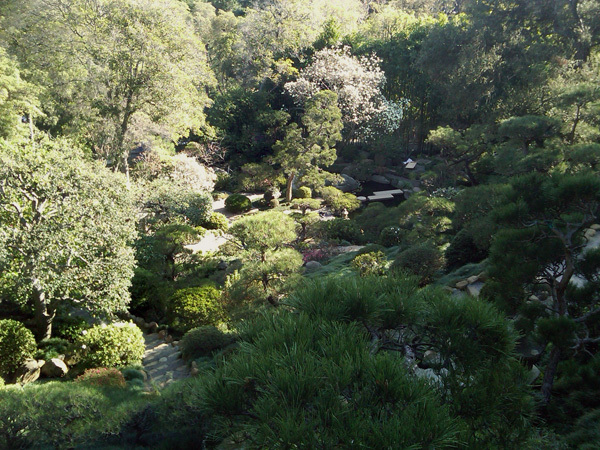 In 1964, Edward W. Carter, Chair of the Regents of the University of California, provided funds to UCLA to purchase the garden. It was renamed in 1982 in honor of his wife, Hannah.